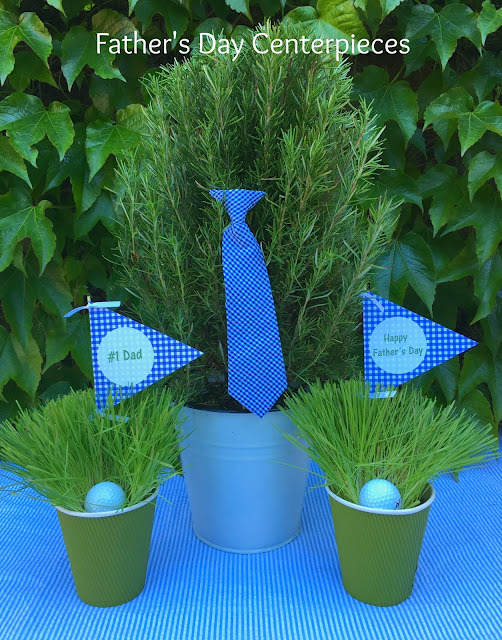 than a necktie and a round of golf, right? 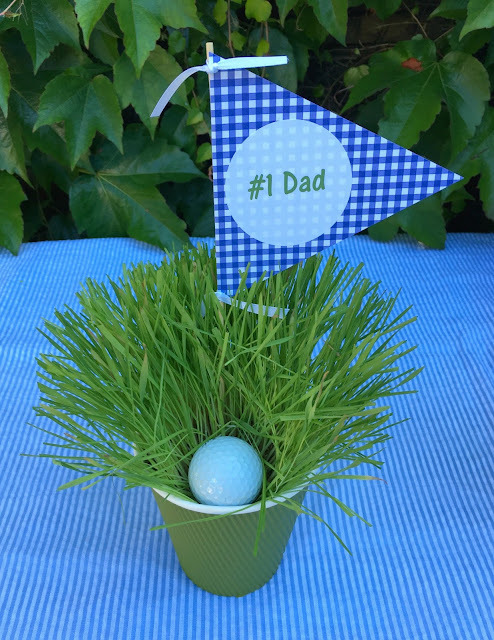 Well, roll them both up into centerpieces and he'll be thrilled! 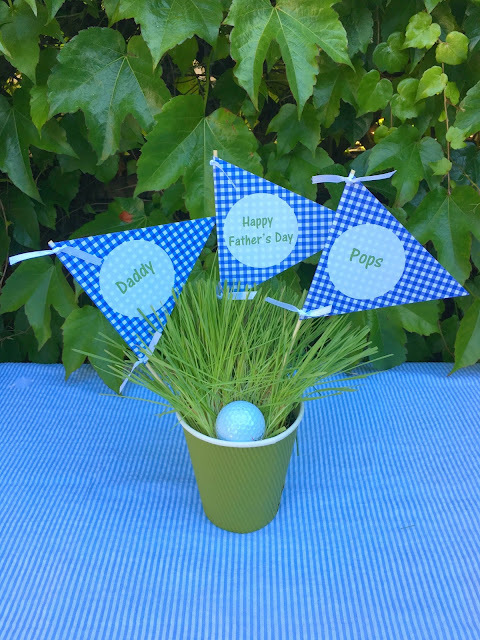 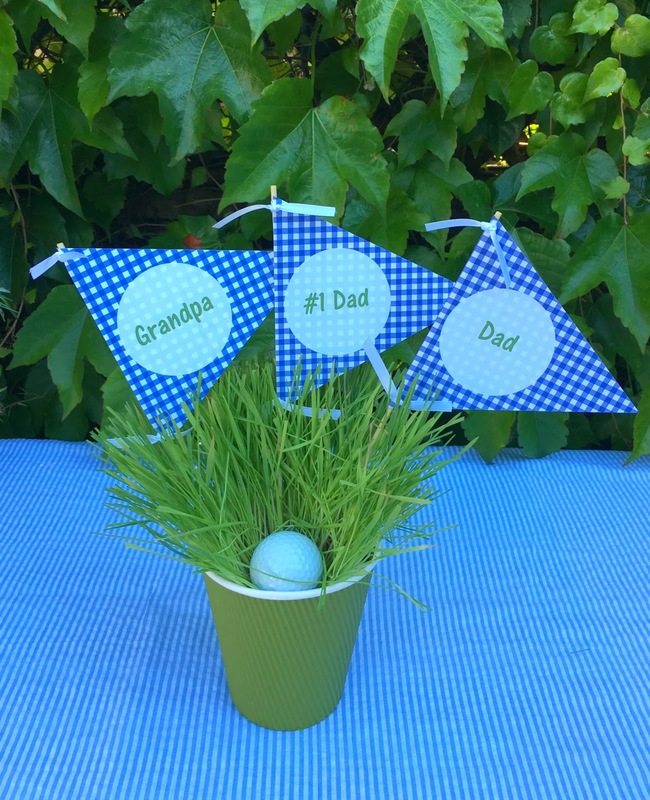 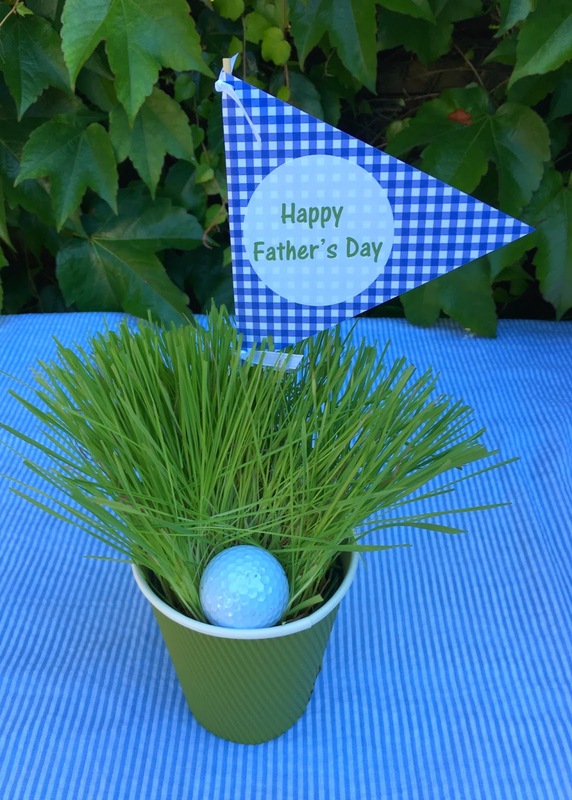 you can adhere these Father's Day stickers to flags and tie to dowels. Then place in potted wheat grass or your favorite arrangement. 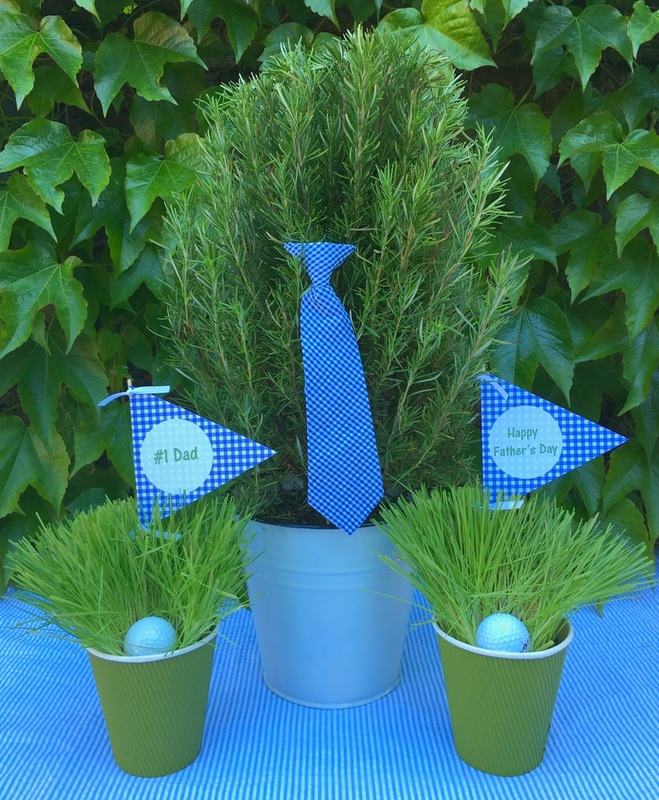 with a dowel placed in the knot on the back and nestled into potted rosemary.